Today I’m going to start a discussion regarding the late-model (1555/1557/1558) Dell Studio laptops and their wireless and networking options. This started when I ordered a Dell Wireless 5620 card for a Studio 1558 computer I had purchased. 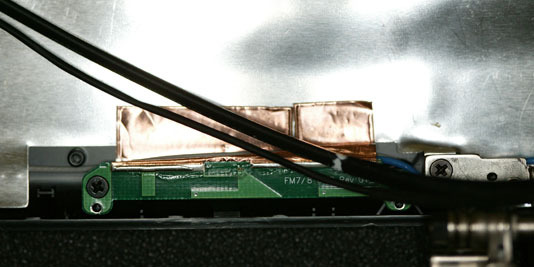 This is the combined mobile broadband / GPS card intended for the Studio 155x systems. 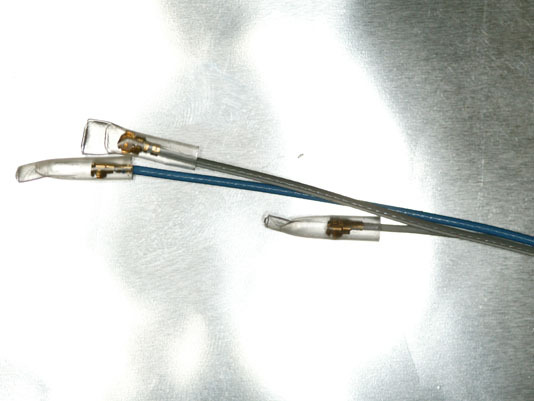 I was quite surprised when I opened the access panel on the bottom of the computer to install the card and discovered that there were no antenna cables for it in there, despite the service manual saying there would be. As I continued to investigate, I found a number of places where the service manual was flat-out wrong, and a bewildering array of Dell part numbers. Let’s get one thing out of the way – the “Service Manual” that Dell makes available on their web site is NOT the manual that their techs use. Their internal manual has a lot more information and goes into things in a lot more depth than the customer service manual. Dell doesn’t make their internal manual available to the public, but you might have some luck with search terms like “Dell Certified Systems Expert” or “Dell Foundations 2009 Portables”. Unfortunately, getting to this location involves a near-complete disassembly of the laptop. For the gruesome details, look at the service manual in the link above. 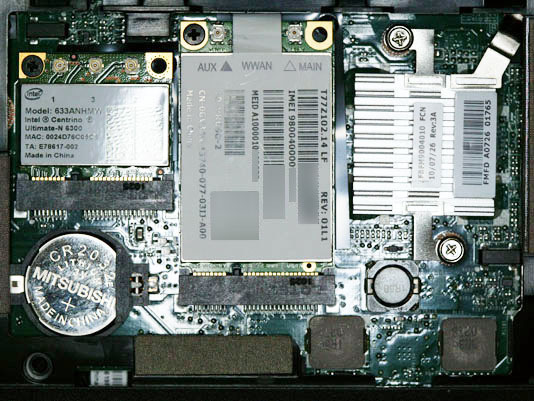 The first picture in this article shows an Intel Ultimate-N 6300 MIMO (3-antenna) WiFi card and the Wireless 5620 card installed in the card bay. 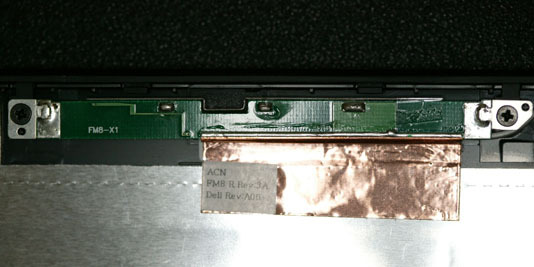 Careful observers may have noticed that the 6300 card doesn’t have a Dell part number on it. That’s because I purchased a generic retail card, not the Dell one, as I could get it for a better price that way. Installing the cards is the easy part. 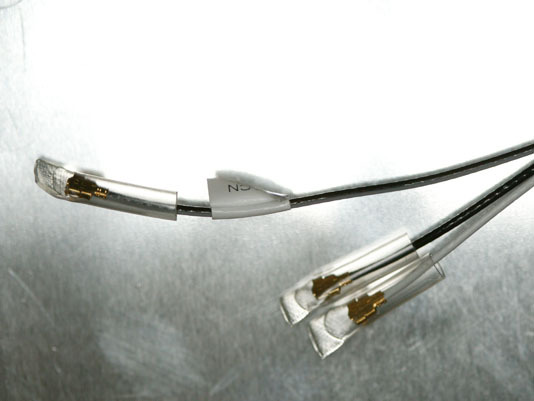 If you didn’t order your computer with the 5620 option, you won’t have the antennas you need. When I asked Dell why they sold a card that couldn’t be used, they just sort of mumbled “dunno”. I don’t understand why they did this – it created a huge assortment of part numbers for them to inventory (aside from making upgrades harder). The Studio 155x was available in at least seven different lid colors. Each of those has at least three possible antenna configurations – WiFi only, WiFi + mobile broadband, and WiFi + mobile broadband + Bluetooth. That creates 21 different part numbers to stock instead of 7 if they built the systems with all the antennas. 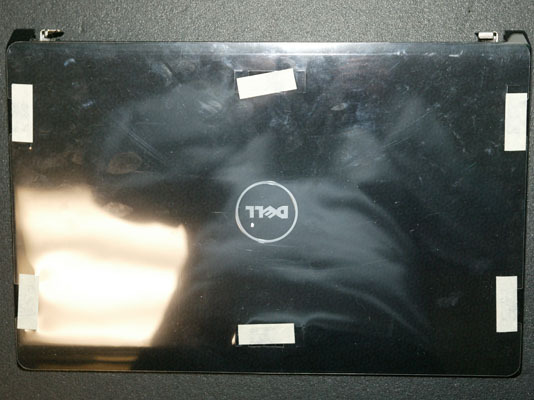 Dell won’t sell you a replacement lid (even if you could figure out the correct part number) because it isn’t considered a customer-replacable part. So it is off to eBay, where I discovered that sellers had no idea what options the lids they were selling included. I received flat-out incorrect answers from a number of sellers I’ve found to be reliable in the past. The next part of this article could be called “A Field Guide to Studio 155x Lids”. It will teach you what to look for in an eBay auction, as well as how to tell if a lid is really new as the seller says. Later on I’ll tell you the part numbers for the most common lid and bezel to help your searches. One thing to be careful of is sellers who mark their listings “Photograph may not be the actual item”, or who list the condition as “New – Other”. I’ve found lots of New – Other listings which were actually parts stripped off of systems. The part numbers you probably want are W855P (sometimes written 0W855P) and W440J. The W855P part is a lid with every possible antenna installed, in the “Black Chain-link” color (which seems to be the most popular color). 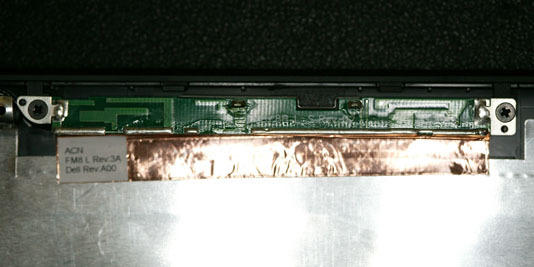 The W440J is the black bezel that snaps on the inside of the cover. 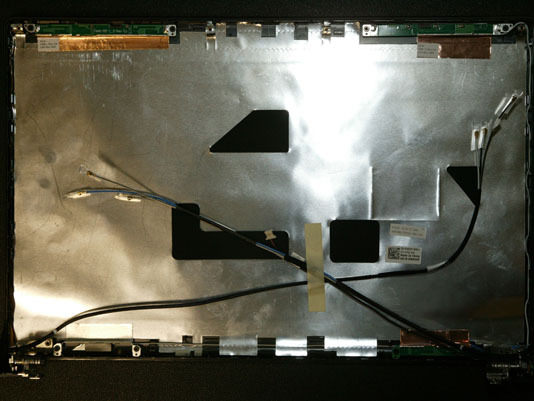 You’re almost certainly going to damage at least one of the latch tabs on your old bezel when you take the display apart, so you may as well order a new one with the lid and just use that. Part number 06DV9 is an interchangeable part number for the bezel. If, for some reason, you want the part number for some other combination of color and antenna (like Plum Purple w/ mobile broadband but no Bluetooth), add a comment to this entry and I’ll post it. The next 155x article will be the highly-anticipated tutorial on replacing a 720p display with the 1080p one. This entry was posted on Sunday, December 19th, 2010 at 8:07 pm	and is filed under Computers. You can follow any responses to this entry through the RSS 2.0 feed. You can skip to the end and leave a response. Pinging is currently not allowed. I receive a Dell Studio 15 (1558) laptop a couple of weeks ago. When I ordered, the only option for mobile broadband was WiMax while I need AT&T HSPA. Dell has gotten weird about not offering all the options depending on which config your start with, so I just figured I would add the PCI express card myself. 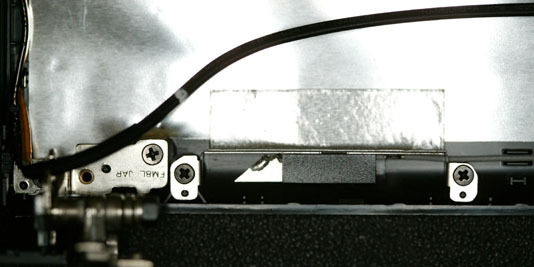 I was very disappointed to discover the the connector for the WWAN card slot is physically missing from the motherboard inside my new laptop. I also noticed the lack of necessary antenna wires but that’s not as big a deal of the missing connector. The solder points are there on the motherboard. Do some Dell execs think WiMax is the big new thing and the combined WiFi/WiMax cards make the old WWAN slot obsolete? Really disappointed I bought this laptop now. My over 3 year old Inspiron 15 has the mobile broadband, it has a Pause/Scroll-lock key on the keyboard, the multimedia keys don’t require me to press the Fn key (don’t get me started on the reverse of requiring the Fn key to use the Fn keys, this rant goes back to my IBM PCjr keyboard days), it has an LED for HDD activiy, and due to upgrades it has the same 4GB RAM/500GB HDD as my new Studio 1558. It just has a slower processor. 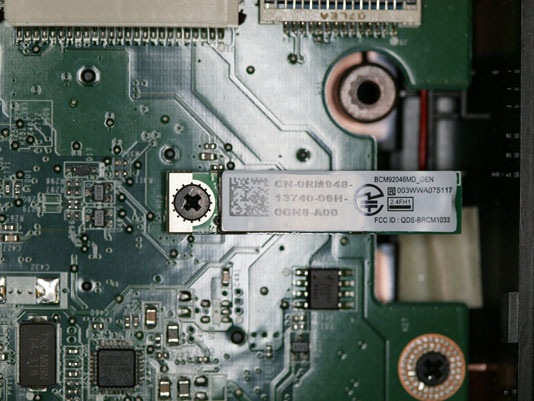 Is there a visible part number for your motherboard? @matt – Dell is just flushing out their remaining inventory of Studio systems and the ones left have practically no choice of options – only one CPU type, only integrated graphics, and so forth. The config choices used to be a lot better. You might be better off returning the 1558 for 100% refund under their 30-day Total Satisfaction Return Policy and selecting a different system. The part number for my motherboard won’t help you, as it has ATI add-on graphics, while a system purchased from Dell recently will have integrated graphics. The 2 1558’s I have (i7-740QM and i5-450M) both claim their motherboard is an 874P6. That’s a system with ATI HD 5470 graphics, and if your system has integrated graphics you will probably need a new display cable (part number varies depending on display resolution) and perhaps even a new display panel. I got one of the last available ones with the better CPU and ATI 1080p graphics. I had to add 8GB memory, Blu-ray burner, Bluetooth, Wireless 5620, better WiFi card (6300), backlit keyboard, and a SSD. It is now one killer system, though. I’m very disappointed that Dell discontinued the Studio systems as I think they’re better looking than their other notebooks. The “replacement” is the Inspiron R-series, but those only have NVIDIA graphics and don’t have the choice of options that the Studio used to. The lack of a HDD activity indicator is the only real drawback I see on my 1558. I think that’s because Dell got burned with the touch control panel / indicators in the 153x models (it took them well over a year to have new firmware to fix that touch control panel, and that firmware still isn’t officially available). One thing I can help you with, though – one of the BIOS setup options is whether the Fn keys are Fn or multimedia when the Fn key isn’t pressed. This setting should also be available in QuickSet (access from Control Panel / Windows Mobility Center). Just wondering if you know the part number number for the black lid (without the pattern), with all antennas? @NS90 – I’m not certain, but I believe it is W393J. Since black chainlink was the default lid color, not many were sold in matte black. Quick question (for a three+ year old thread) – did you actually get a 365 card for Bluetooth – if so, did you ever get it working with Windows 7? I bought one off of eBay and was unable to find a driver that it would work with for Windows 7 (even tried ones from other manufacturers that supposedly fixed the same issue for others). I don’t have another laptop to try and verify the card is okay, but it does seem to be drawing power and getting into the initial stages of working, but the driver never, ever loads completely.